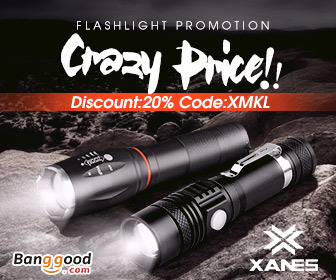 Home Flashlights AA Flashlights What Is a Rechargeable Flashlight? 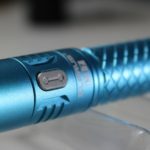 Reading many flashlight reviews online, has prompted me to write this post that will answer a very simple question…”what is a rechargeable flashlight?”. I feel the question NEEDS to be answered, because people are buying LED flashlights right, left and center. Then with the product in hand, they review it for the world to see. One point of their description however is often incorrect, because they’ll identify it as a “rechargeable flashlight” even when it’s not! Just stop and think for a moment how many everyday items are NOW rechargeable! 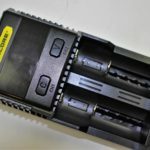 Green energy is everywhere, and although you can still buy disposable alkaline batteries in just about any store, many portable electronics these days operate on some form of rechargeable battery. Cell phones have always been rechargeable, for obvious reasons. The same goes for digital cameras, laptops, notebooks, kindle’s, etc… etc. These items however, are slightly different because the rechargeable battery is sometimes built “into” the device. In other words, we need not handle the actual battery to charge it. We just plug the unit into either a USB port or an electrical outlet. Like I said, many rechargeable batteries require very little (or no) direct contact. 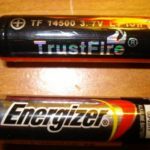 Most of us know how to buy a replacement battery for our cell phone. But the only times we ever need to handle it, is either when we first buy the phone, or if a direct replacement is needed sometime later. The batteries that power our laptop, iPad and such, NEVER need handling! How convenient is that? Most of time, we don’t even know what they look like. Now, to the meat of the issue! 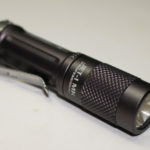 The LED flashlight has become one of today’s most popular items, when it comes to portability. They’re small, lightweight, and easy to carry. 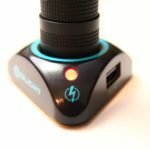 The batteries that power them have become popular items as well. 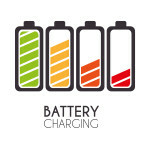 For the most part, the recommended type of battery, is a rechargeable Lithium-ion. This is mainly because the majority of flashlights made today, are made FOR lithium batteries. 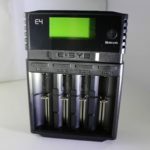 They’re also made for standard batteries, which can be either disposable alkaline, OR rechargeable Nickel Metal Hydride (NiMH). But Lithium-ion based lights are more popular. 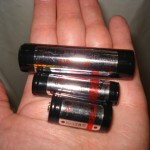 If you need a crash course in lithium batteries before continuing with this post, click here. For those of you familiar with them, and know what the most popular sizes are, read on. So, folks will buy a flashlight online that operates on Lithium-ion batteries. 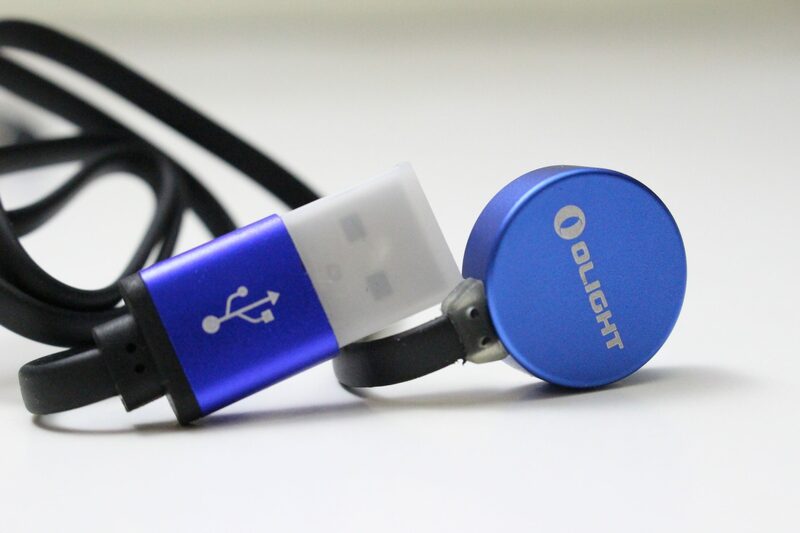 They will then talk about the wonderful things it does, and say that it’s rechargeable too! Well, chances are excellent, that THIS particular flashlight, is NOT rechargeable. Here is an example of a “non-rechargeable” light which some people think IS rechargeable! So, what do they mean by “rechargeable”? Basically, they think that BECAUSE the light USES rechargeable batteries…. it’s rechargeable! No, it isn’t. Consider this; ANY flashlight that uses a battery OTHER THAN “C” or “D” size, can USE rechargeable batteries. 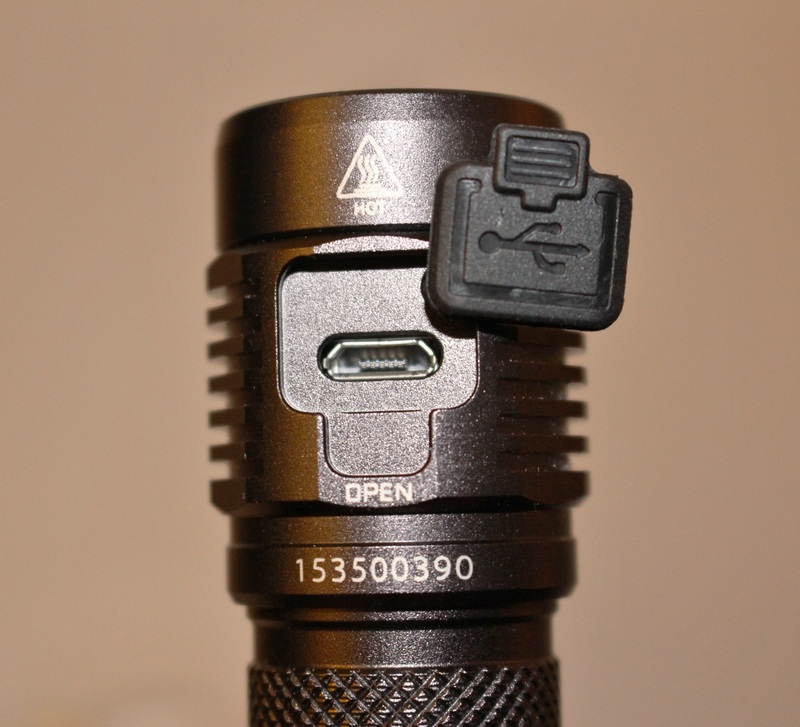 AA, and single A based flashlights can use rechargeable NiMH cells. Single A based lights, can also use lithium rechargeable 14500 batteries. 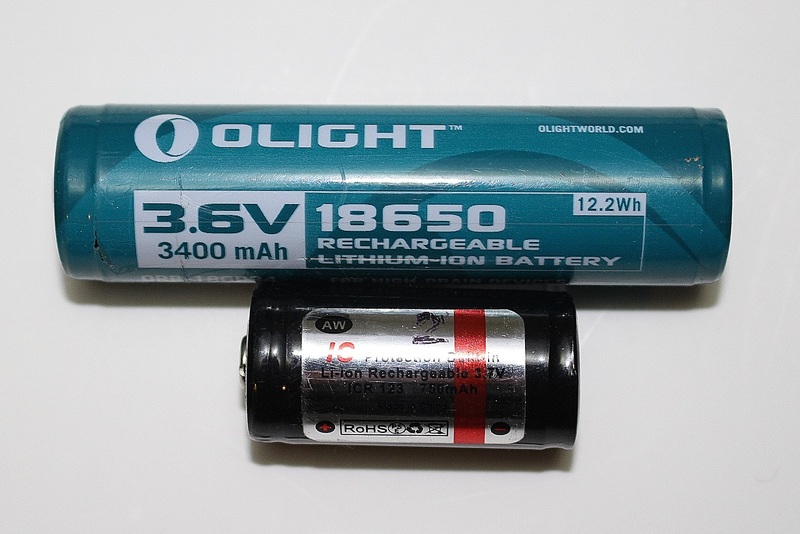 Many lithium based lights that run on one 18650 battery, come equipped with a “cage” that also accepts AAA batteries, both in standard alkaline, or NiMH rechargeable. Okay, here’s the moment we’ve been leading up to! The suspense is over! The payoff has arrived… and not a moment too soon! 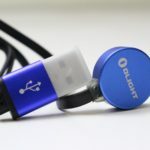 A rechargeable flashlight features an “on-board” USB port, which just like most other portable electronics that are rechargeable, charges the battery INSIDE the unit. 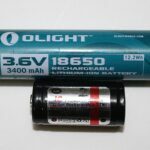 So, in theory, once you insert an 18650 battery into a rechargeable flashlight, you need not remove the battery ever again! It will come with a USB cable, and… perhaps… an 18650 battery as well. 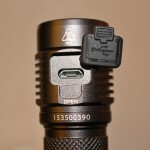 Some flashlights, such as the Olight S1R Baton being an excellent example, use an entirely different charging system. It consists of a magnetic plate which snaps to the base of the light, and includes a USB plug on the other end. 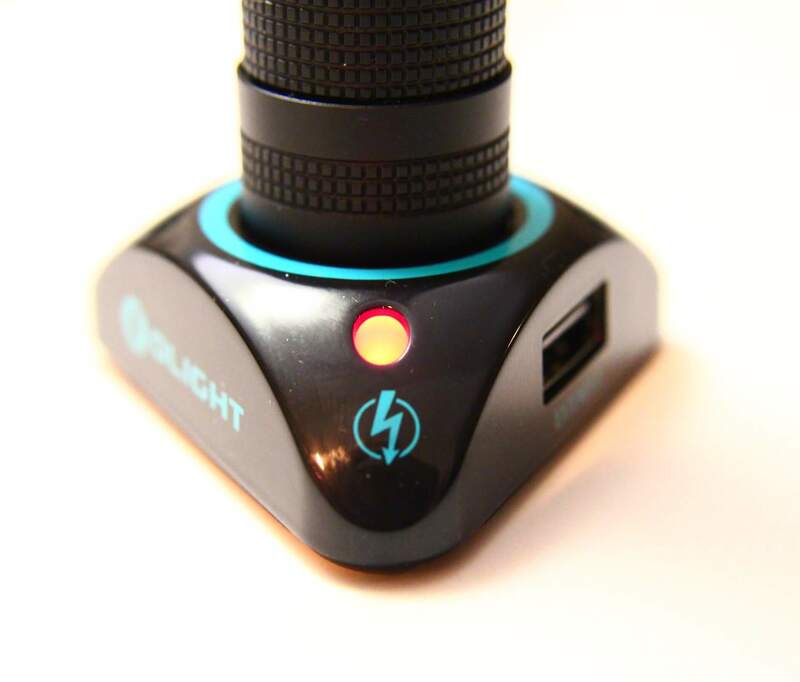 Other Olight products, such as the S30R, employ a different “charging base” system. The related image of the standard USB port (above) is seen on the Niteye EC-R26. Very informative. Thank you. I didn’t know that there are flashlights that actually plug in themselves. Do you recommend them. Absolutely! Mind you they don’t normally charge the battery as fast as an external charger would, but it’s mainly the convenience factor.